Girls in Motion/Boys in Motion is a dance program geared towards middle school students in grades 5-8. 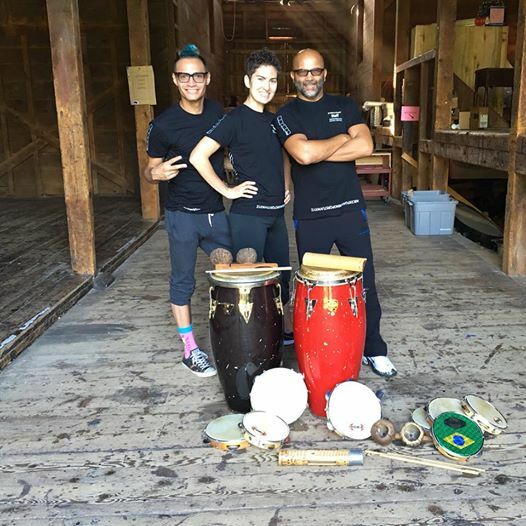 Elm City Dance Collective partners with the Connecticut Capoeira Center to provide girls and boys the opportunity to explore creative movement and Capoeira, a martial art form that incorporates dance, acrobatics and music. Instructors teach improvisation, movement vocabulary, music and different ways of creating dances. At the end of the 4 weeks there will be a free showing for the community, parents, staff, and friends. “Girls in Motion” / “Boys in Motion” will help the students gain confidence, learn how to work in a group, composition, dance and Capoeira vocabulary, how to develop group trust, and working and performing together as an ensemble. 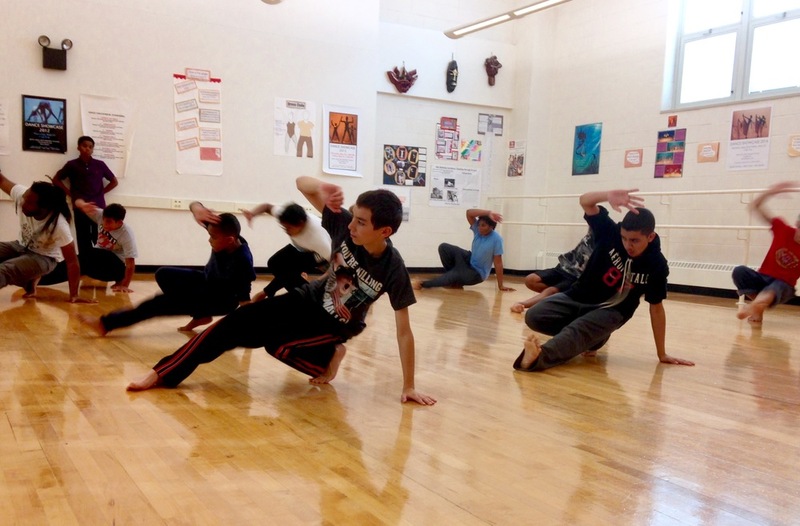 Past "in Motion" programs were held at Betsy Ross Arts Magnet School and the Truman School in New Haven. Interested in bring Boys/Girls in Motion to your school? Contact Lindsey Bauer at elmcitydance@gmail.com for more information. Boys/Girls in Motion 2017 was supported in part by College Street Music Hall and the Community Foundation for Greater New Haven. Boys in Motion 2015 was supported in part by the Community Foundation for Greater New Haven. Girls in Motion 2016 is supported in part by the City of New Haven's Cultural Vitality Grant, "Mayors Grant". Amazon Adventure Summer Workshop: Campers will embark on a weeklong journey introducing them to the culture that is home to the Amazon rainforest. They will learn Capoeira, Music, Creative Movement, Dance and Brazilian Folklore. Influenced by sounds and sights of the rainforest, they will explore creative movement to make performance pieces of their own. Participants will show their newly developed skills and creativity in an informal performance on the last afternoon of the week. Amazon Adventure will happen this August 14-18th 2017 at the Eli Whitney Museum. CLICK HERE FOR DETAILS. Interested in hosting Amazon Adventure? Contact Lindsey Bauer at elmcitydance@gmail.com.